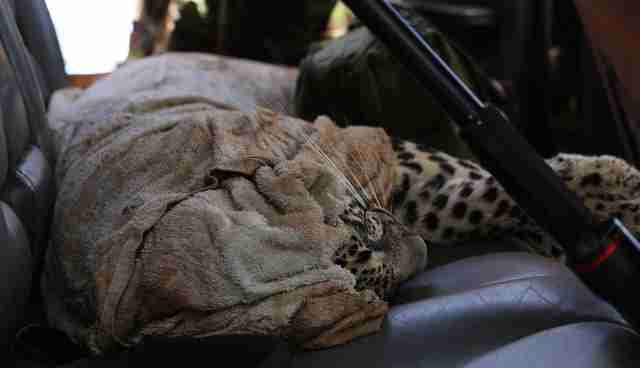 Leopard Trapped In Garden Was Terrified. And Then People Showed Up. It could have turned out terribly. When a young leopard wandered into a neighborhood and got trapped in a residential garden, no one knew what, exactly, to do. But because the community members in this area of Kenya are used to sharing their land with wild animals, they knew that the majestic animal deserved help, not harm. 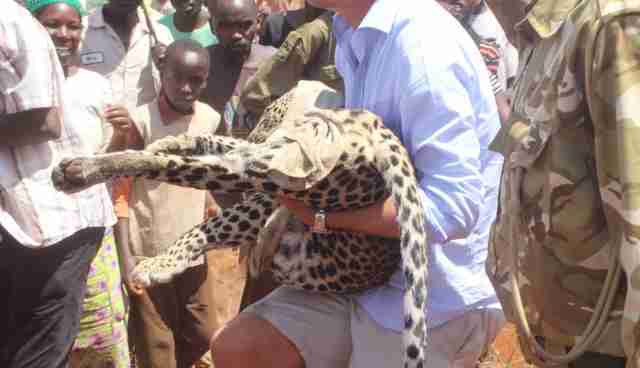 So they called Lewa Wildlife Conservancy for help, and Lewa dispatched a rescue team of experts. But the leopard, a young male who had already spent an entire night in the garden, was scared. He had "never been surrounded by a human crowd," Wanjiku Kinuthia, of Lewa, told The Dodo, "and therefore [he was] understandably aggressive." The team searched for nearly three hours before they found where he was hiding. "Our vet Dr. Mutinda had to sedate him to enable our team to move him safely," Kinuthia said. Villagers were captivated by the beautiful animal and watched as he was gently transported by caring people back to Lewa's land. 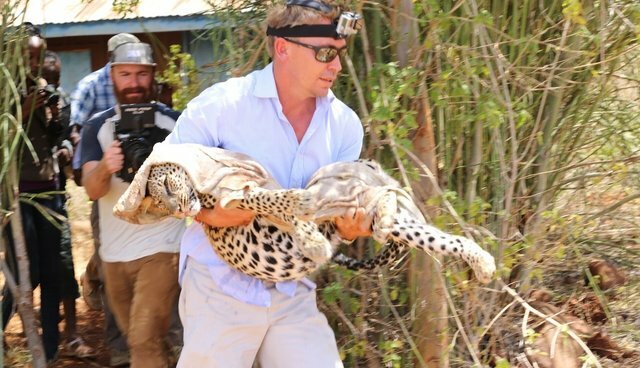 The Lewa Wildlife Conservancy on Instagram: "LEOPARD RESCUE @batian_kenya carries a young male leopard during the rescue with our vet Dr. Matthew Mutinda and the security team. 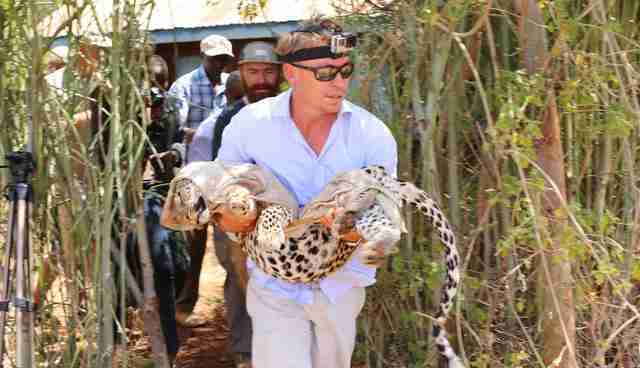 The..."
The leopard was safely moved to Lewa and released close to the swamp, where it would be easy for him to find water and food. 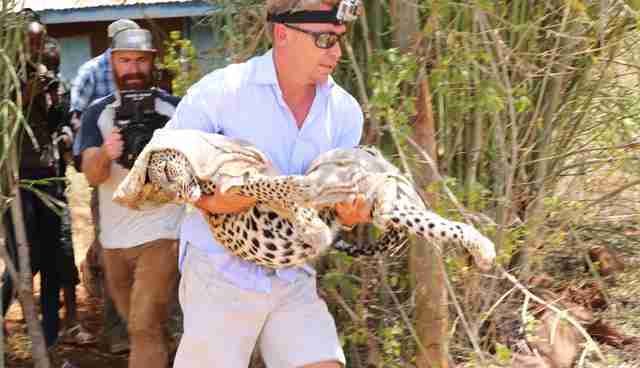 But to ensure that he was OK, rangers stayed close and waited for four hours to ensure that all was well with the young leopard as he recovered from his adventure. Increase in human population and settlement continues to lead to loss of free-roaming ranges for wildlife, resulting in human-wildlife conflict, according to Lewa. But Lewa is working with partners throughout northern Kenya to promote development that helps people and wildlife coexist peacefully. Learn how you can help Lewa in its efforts here.